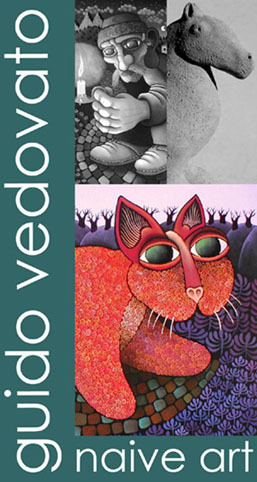 Art Naive by Guido Vedovato. Gallery of naif paintings and sculptures of the Italian naif artist. Naive exhibitions in galleries and museums.